The definition of “Thrive” is most simply put as “to progress toward or realize a goal despite or because of circumstances.” This definition embodies the true meaning of McMaster’s first ever Thrive Week, beginning Feb. 4. Thrive Week is a week-long series of events focusing on improving and maintaining good mental health of students, staff and faculty on campus. 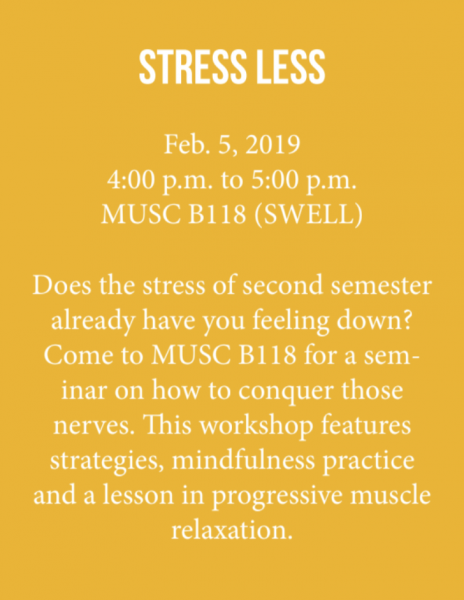 Events include yoga, Zumba, meditation circles, stress management workshops and various panels for students to get information on a variety of topics such as career planning and suicide awareness. 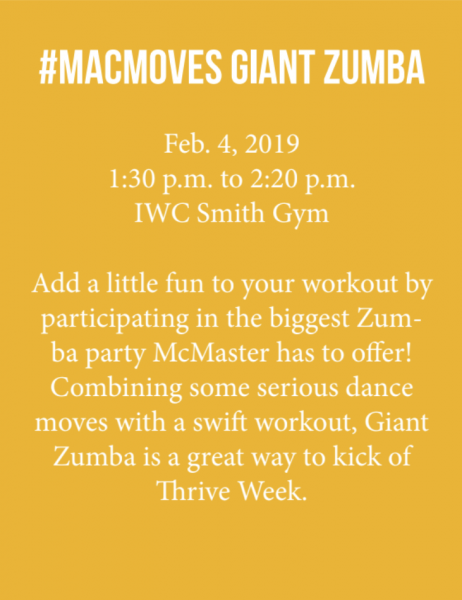 Although Thrive Week is new to McMaster, the wellness event has been a part of many schools around Canada for the past 10 years. “Thrive began at [University of British Columbia] in 2009 and since then, a number of Canadian colleges and universities have adopted the spirit of Thrive,” mentioned McMaster wellness educator, WilPrakash Fujarczuk. “The wellness education team decided to join these schools for a number of reasons… one reason is to connect students to pre-existing services on campus… we know that there are a number of departments that promote mental wellness in ways that may not be so obvious,” said Fujarczuk. Fujarczuk mentions “Sketching Thursdays” at the McMaster Museum of Art, which is a weekly event that allows students to distance themselves from their devices and work on mindfulness and creative expression. Thrive Week is intended to promote events similar to “Sketching Thursdays” on campus and add additional resources and events throughout Thrive Week for students to participate in to further their mental health journey. “Thrive is also an opportunity to bring in community partners to showcase the valuable expertise that Hamilton community resources have to offer,” mentioned Fujarczuk. Some of the community partners that are taking part in Thrive Week at McMaster include Healing Together Yoga, The AIDS Network and Asian Community AIDS Services. Body Brave, another Hamilton-based organization, will also be taking part in the event to introduce students and staff to their off campus support system. Body Brave’s main purpose is to address the major gaps in resources for eating disorders, raise awareness and reduce the stigma around eating disorders, particularly with those who are over the age of 18. 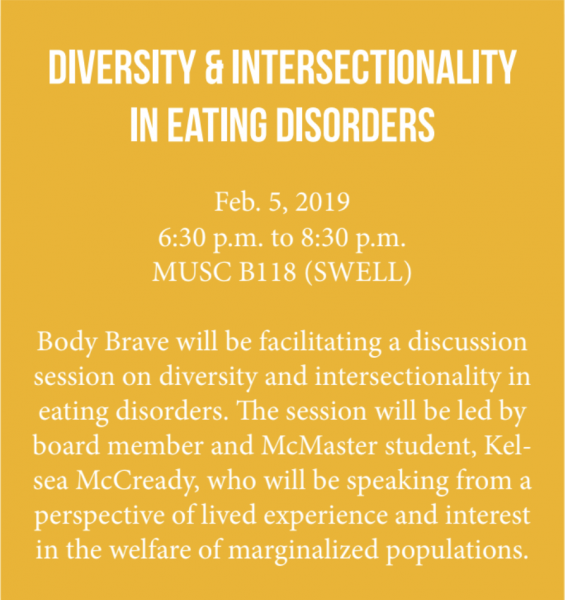 Kelsea McCready, a McMaster student who holds the position of secretary on the board of directors at Body Brave, mentions the barriers that individuals may face when struggling with an eating disorder and are looking for help. “Programs within Ontario as a whole have a limited capacity which means that many individuals who are struggling are left on long waitlists without any kind of specialized support,” mentioned McCready. McCready notes that although Body Brave is not a direct replacement for professional specialized support for eating disorders, the organization offers a variety of affordable treatment programs such as workshops, individual treatment and support groups. 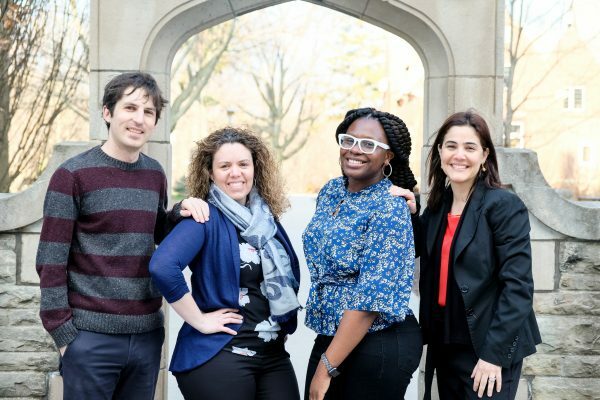 “It is a priority for Body Brave to engage more with the McMaster community as an off-campus support in addition to on-campus services,” said McCready. Body Brave’s involvement in Thrive Week is important for those who may be suffering from an eating disorder and are wary to seek out support. Thrive Week introduces programs and organizations to the McMaster campus that are similar to Body Brave in order to make these services more accessible to students. “Given that it’s our first year running Thrive, we are hoping to use it as an opportunity to evaluate programs and build on for future years,” said Fujarczuk. While Thrive events will only be taking place for a week, the path towards bettering the mental health of the McMaster community needs to be addressed and explored on a consistent basis. Thrive Week is the first step towards shedding light on the services available on-campus and in the community. Thrive Week will be running on campus from Feb. 4 to Feb. 9. More information about the event can be found on the Student Wellness Centre’s website, which includes the Thrive Week schedule and other mental health resources found year-round on campus.